Business to consumer “B2C” Internet customers need to know their private information is secure when provided over a website eCommerce portal. With all the inroads and growth in eCommerce in recent years, security concerns still tops the list for both B2B business customers and B2C consumers. B2C businesses should be putting forth security of personal data as their chief customer service concern. Identity theft and other forms of online theft is a huge problem today, and while secure browsers are being built to improve security in online transactions, this is only the tip of the iceberg in eCommerce security issues. This is at the heart and sole of the online shopping world and it is important to investigate how security is being handled for ebusiness. There are numerous open source free software and paid shopping carts available with new ones added everyday. Some hosting services actually have shopping cart software built right into the services provided. Check with your hosting service provider. Payment gateways must also be secure. Payment gateways are external services that enable internet merchants to accept online payments via credit cards, Paypal, and other electronic funds transfer services using a Secure Sockets Layer SSL and digital SSL certificates. Read this excellent overview of Guide to Merchant Accounts, providing information on payment gateways, Internet merchant accounts, 3rd party credit card processors, and eCommerce solutions. When a secure page is navigated to and implemented in a Web browser window, a little closed (secure) lock will appear on the Web browser (typically lower right or upper right) and is usually an https:// file name. Take a look at this secure web page example. When in this secure mode, any information shared on that site can not be viewed by others on the Internet. Ethics in business is an area that is passed over way too quickly. It is at the heart and soul of the matter, and should be up at the top of a companys’ employees requirements list. Information can so quickly be extracted from any business database with-in an organization, and bought and sold in the market place. Don’t let this happen in your business. Implement an ethics policy for the entire company. 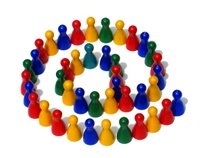 Build your company with good marketing ethics and include a system of checks and balances. Guard customers’ private e-commerce data as though it were your own. As e-business continues to advance online, provide privacy and security information for your customers to easily understand. Do not wrap it up in legalese. Once you have the secure foundation in place, then promote your business online. 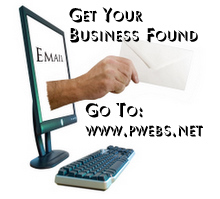 Get your business found on the Internet. Internet marketing with Professional Web Services today will gain your business more sales tomorrow.